Licensed to sell real estate since 1990, I began working in the industry in 1998 and have remained a full time agent since that time. My focus is selling residential homes, lots and land tracts in Pickens County and all surrounding Counties. I have had my Tennessee real estate license since 2008. In the real estate industry I have found my calling and cannot imagine another career I would find more challenging, ever changing, rewarding or motivating. Berkshire Hathaway Home Services Georgia Properties gives me the incredible tools and network to give the best exposure to my listings and the power to find whatever it is my buyers ask me to find. Being associated with the number one company in the metro Atlanta area, provides me with the most powerful marketing tools to use to my advantage and more importantly to the advantage of my buyers and sellers. There really is no one who can offer you more personalized services with communication with you the buyer or seller being my number one priority. I stay current on market data and regularly take continuing education classes, not because it is required, but because to be the best in this industry, you have to keep up with the ever changing rules, laws and technology. When you need a professional, full time, REALTOR® in North Georgia call me to discuss your real estate needs. (January 2010 - Present) - I assist clients in selling their property or finding the right property for the buyer and assisting each party I work with to get their chosen property or sale through negotiations of an offer, contract and successfully and smoothly to the closing table. 2010 - Present Independent contract-self employed Real Estate professional. Assisting buyers and sellers with residential real estate, land and lots in North Georgia. (March 2008 - Present) - Currently volunteering my time to help with donation acquisitions and coordinating donation pick ups as well as working in the store. (September 2010 - October 2013) - Director of this non profit thrift store where all the profits go to support Pickens Animal Rescue and the Rescue Ranch in Jasper, GA. This is an organization which I have been active with for almost two decades. My role is one of several hats, to manage the income, inventory, arrange pick up of donated items, assist our all volunteer staff, manage the hours of the store and report to the board of Pickens Animal Rescue the progress of the store throughout the year. The profits from sales at the store directly impact the Rescue Ranch where most of the dogs and cats awaiting adoption are cared for by volunteers. 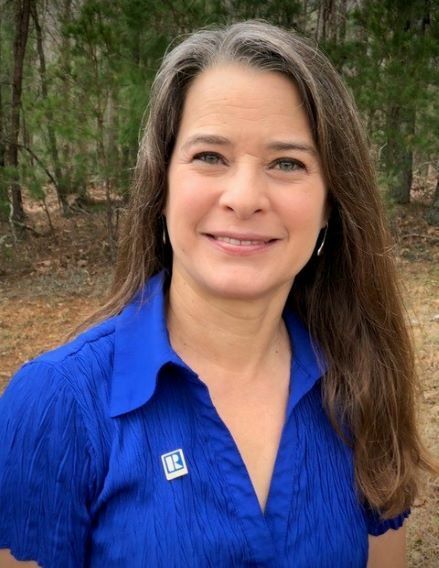 (September 2006 - January 2010) - Licensed REALTOR® in the state of Georgia and Tennessee, speializing in residential, land and lot sales and listing. Working with Buyers as a Buyer Representative and Seller representation. Constantly researching better and new ways to do my job and taking continuing education classes to better expand my knowledge base. (November 1998 - September 2006) - I enjoyed my time with RE/MAX. It was a learnng experience and made me into a very independent real estate agent. (March 1983 - July 1999) - I created, ran and grew my own residential and commercial cleaning business. I grew from being single owner and operator to having thirteen employees, moving the business from Marietta to Jasper at one point, until selling the service as a successful local business in Jasper, GA.